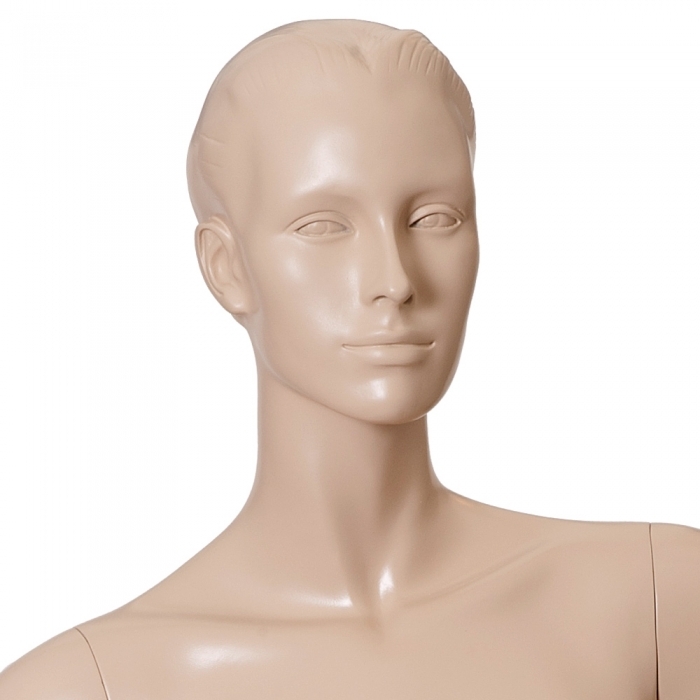 Flesh Tone Female Mannequin with sculptured hair with right arm on hip. 178cm Tall, 81cm Bust, 63cm Waist, 87cm Hips. Supplied with Chrome/Metal circular base. Includes fittings for both the foot or calf. This model is available in a White Matt finish and can be seen here. These can be sprayed in any colour you like please contact us if interested! Produced from Fibreglass. Suitable for shop/retail environment.